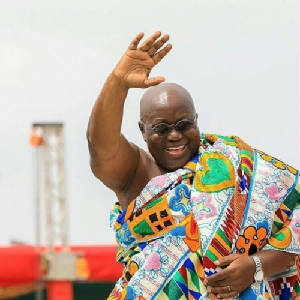 Ghana on January 7th 2017 swore into office a new President Nana Addo Dankwa Akufo-Addo. 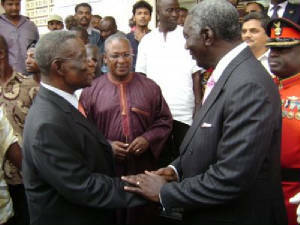 This was another peaceful transfer of power from one ruling party to another. Democracy is entrenched in Ghana and the vision to maintain peace and focus on building a welcoming Ghana for all continues. Ghana is bounded on the north and northwest by Burkina Faso, on the east by Togo, on the south by the Atlantic Ocean, and on the west by Cote d'Ivoire. Formerly a British colony known as the Gold Coast, Ghana was the first nation in sub-Saharan Africa to achieve independence (1957). The country is named after the ancient empire of Ghana, from which the ancestors of the inhabitants of the present country are thought to have migrated. The total land area is 92,100 square miles (238,537) square kilometres). Ghana is a lowland country, except for range of hills on the eastern border. The sandy coastline is backed by a coastal plain that is crossed by several rivers and streams, generally navigable only by canoe. In the west the plain is broken by heavily forested hills and many streams and rivers. To the north lies an undulating savanna that is drained by the Volta river, which flows south to the sea through a narrow gap in the hills. Lake Volta, in the east, is one of the largest artificial lakes in the world. 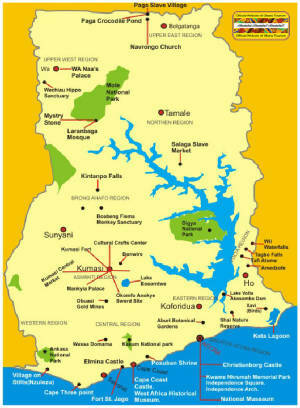 Ghana's highest point, in the eastern hills, is about 2,900 feet (884 meters) above sea level. 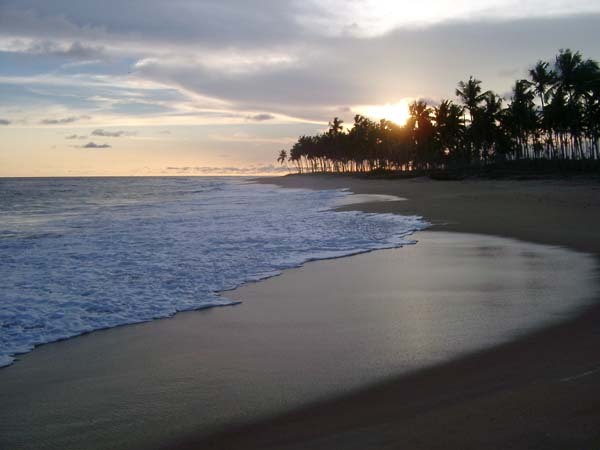 The climate of Ghana is tropical, but temperatures vary with season and elevation. Except in the north, two rainy seasons occur, from April to June and from September to November. In the north the rainy season begins in March and lasts until September. Annual rainfall ranges from about 40 inches (1,015 millimetres) in the north to about 80 inches (2,300 millimetres) in the south-east. The harmattan, a dry, north wind, blows from December to March lowering the humidity and creating hot days and cool nights in the north. In the south the effects of the harmattan are felt in January. In most areas the highest temperatures occur in March, the lowest in August. The average annual temperature is about 86F (30C). 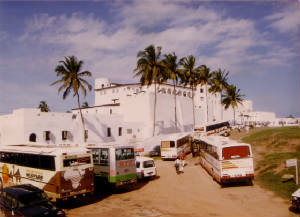 Elmina Castle, the first European built structure south of the Sahara. A visitor coming to Ghana can use the following major entry points. Air: The Kotoka International Airport is the principal air entry point to Ghana. It is a modern airport that places its technological facilities at the disposal of other countries in the West Africa sub-region. This explains why Ghana is referred to as the ³Gateway to Africa². Sea: Ghana boasts of two major ports, the Tema Port in the Greater Accra Region, some nine (9) kilometers south of the capital city, Accra and the Takoradi Port located in the Western Region of the country. Land: There are three major entry points by land. 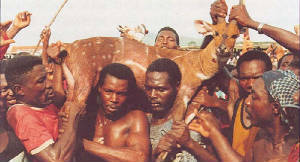 On the West is the Elubo entry point between Ghana and Cote d¹Ivoire, On the East is the Aflao entry point between Ghana and Togo and on the North is the Paga entry Point between Ghana and Burkina Faso. All these entry points are manned by qualified Immigration officers to ensure the security of visitors arriving or leaving the shores of Ghana. It is imperative, however, for all visitors entering Ghana to possess valid passports or other legal travel documents. Before you leave for your holiday of a lifetime make sure you have had your inoculations for Yellow fever, malaria, tetanus and any other required inoculations. Ensure that malaria medication is taking before, during and after your holiday. Such inoculations are available from your GP, travel centre or any British Airways travel shop at a price. Take along a good supply of mosquito spray/rub/cream, sun lotion, body cream, fresh wipes, etc. 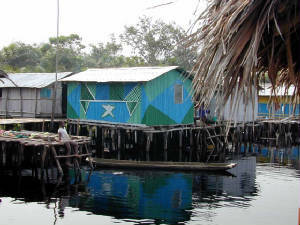 Medical facilities are limited, especially outside Accra. But we will advice you on which clinic or hospital to go to should you require medical attention. Malaria is common, so are other tropical diseases. Travellers should be aware that evidence of and/or assurances from most insurance companies would not be accepted as settlement of medical expenses in Ghana. Health officials often request payment for medical services immediately. Valid certificate of inoculation against Yellow Fever will be inspected at point of entry. The population of Ghana is 24,658,823 (Source: Ghana Statistical Service, 2010). Most of the population is concentrated in the southern part of the country, with the highest densities occurring in urban areas and cocoa-producing areas. Ghana is and has always been a special part of Africa. An Africa with a wide range of attractions and facilities. It dazzles you with its historic past, and charms you with that natural beauty which envelopes you wherever you go. Indeed for the traveller, Ghana is that latter-day unknown, unexplored and certainly unexploited destination which abounds in an unbelievable array of excitingly striking attractions, succinctly distinctive and peculiar to each of the ten regions in Ghana. There are miles and miles of sun drenched and unspoilt beaches to discover as well as national parks which boast of unique flora and fauna. Important events in life are marked by special rites and rituals. Child naming, puberty initiations, marriage and death are marked by family ceremonies, while seasonal festivals bring a whole people or clan together in spectacular fashion.A common feature is the belief in the Supreme Being, in life after death and in the nearness of dead ancestors. Festivals also recall past events, and consecrate a new season with confidence and hope. Traditional fetish shrines, sometimes concealed but more often displayed, are important centres of worship and traditional healing, and an influential part of traditional life.Of special significance are the Posuban shrines, particular to the Fante communities in Southern Ghana. Fanciful buildings lavishly decorated with folk art, they are religious centres for Fante warrior organisations. Ghana has a tropical climate, characterised most of the year by moderate temperatures generally 21-32°C (70-90°F), constant breeze and sunshine. There are two rainy seasons, from March to July and from September to October, separated by a short cool dry season in August and a relatively long dry season in the south from mid-October to March. Ghana has an almost all year round summer season. AIR -There are internal flights between Accra, Kumasi &Tamale. Let us find find the schedule for you . TRAIN-There is a track connecting Accra, Kumasi and Takoradi.Train services operating include: - Accra to Kumasi, overnight (not every day), 11 hours approximately. - Kumasi to Takoradi, twice daily, 7 hours approximately. 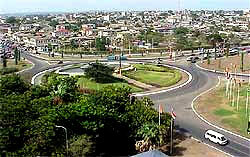 - Takoradi to Kumasi, twice daily, 7 hours approximately. - Accra to Cape Coast (168 kilometres / 103 miles, 2 hours approximately). - Accra to Kumasi (255 kilometres / 158 miles, 4 hours approximately). 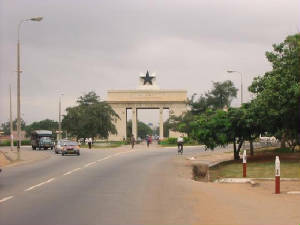 - Accra to Takoradi (240 kilometres / 150 miles, 4 hours approximately). - Accra to Tamale (616 kilometres / 385 miles, 13 hours approximately). - Accra to Wa (715 kilometres / 447 miles, 17 hours approximately). - Kumasi to Takoradi (288 kilometres / 180 miles, 4.5 hours approximately). - Kumasi to Tamale (366 kilometres / 225 miles, 7 hours approximately). Please check the CDC website on Ghana before you book with us.